In celebrating St. Patrick Day, the annual Las Vegas Valley Firefighters St. Patrick's Day Parade and Fun Challenge was held at the Downtown Las Vegas Events Center (DLVEC) today. The parade started at the Main Street Stage at noon. Led by Grand Marshal Terry Murphy, Honorary Irish Consul to Nevada, uniformed firefighters, honor guards, bagpipers and step dancers made its way along the Fremont Street under the Viva Vision canopy. Then the Firefighter Fun Challenge took place between 1 p.m. and 5 p.m. where firefighter teams from around the country competed in a tricycle race, wheel barrel race, midnight equipment run, tug of war, hose bowling and garden hose efficiency contest. winners would donate their prize money to the charities of their choices. 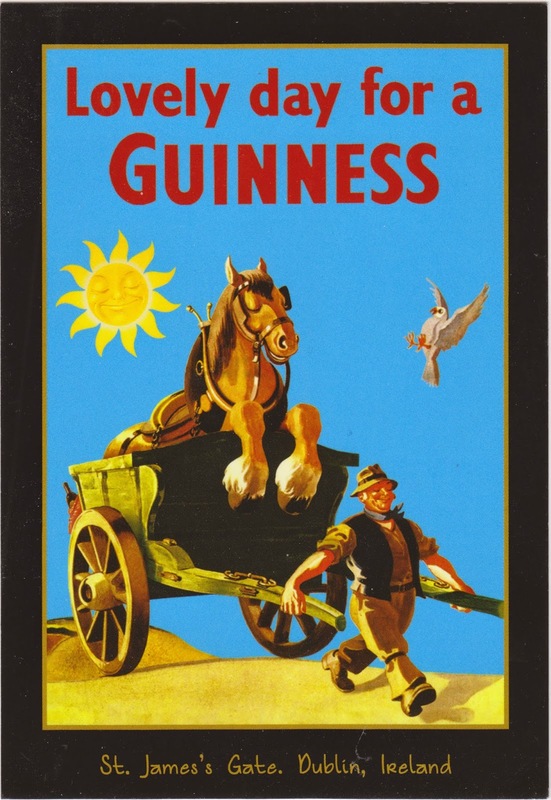 Outgoing postcard US-3263675 to Hong Kong shows a vintage "Horse and Cart" poster "Lovely day for a Guinness", one of the most popular of all the Guinness beer advertisements, circa 1949, by artist John Gilroy. 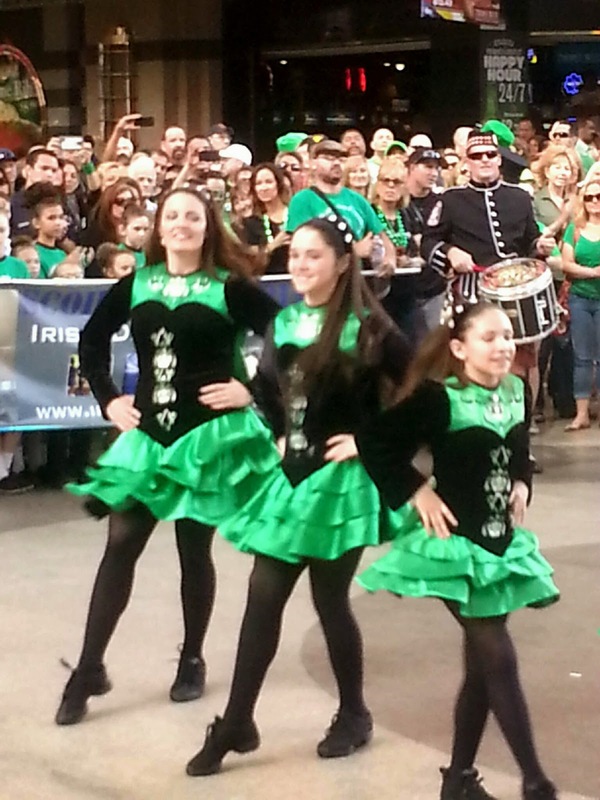 Step dancers perform at the Las Vegas Valley Firefighters St. Patrick's Day Parade.